Cinco de Mayo is probably the holiday we like to celebrate most at Blended Kitchen. First of all, we’re obsessed with Mexican food. (Just ask Cindy about that one time we abandoned traditional Christmas food and had a Mexican Christmas, complete with taquitos and green sauce!) Not to mention, when Cinco de Mayo rolls around, we know summer is just around the corner. Which means that lazy days by the pool with margaritas in hand are upon us. And we love our lazy days. And our margaritas. But that’s a story for another time and place. Soup? In St. Louis’ recent 90° weather? What’s up with that? 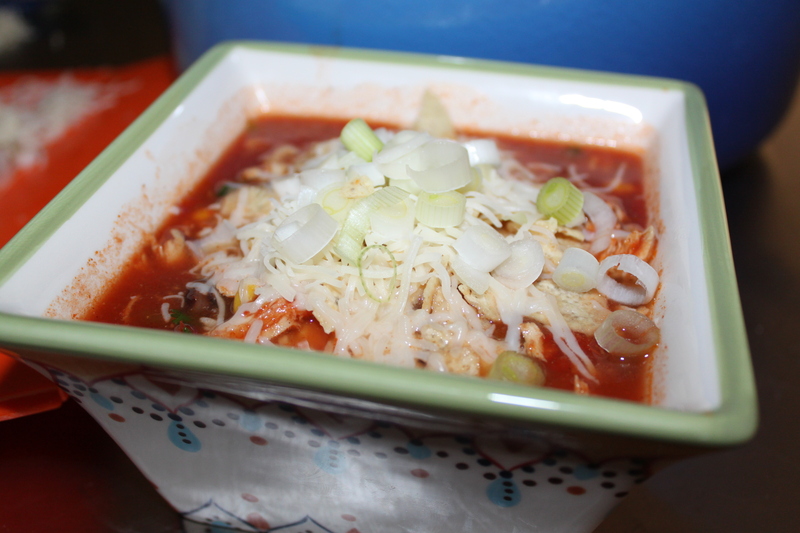 Well, we keep our house chilled around 60°, and we just freakin’ love this soup. 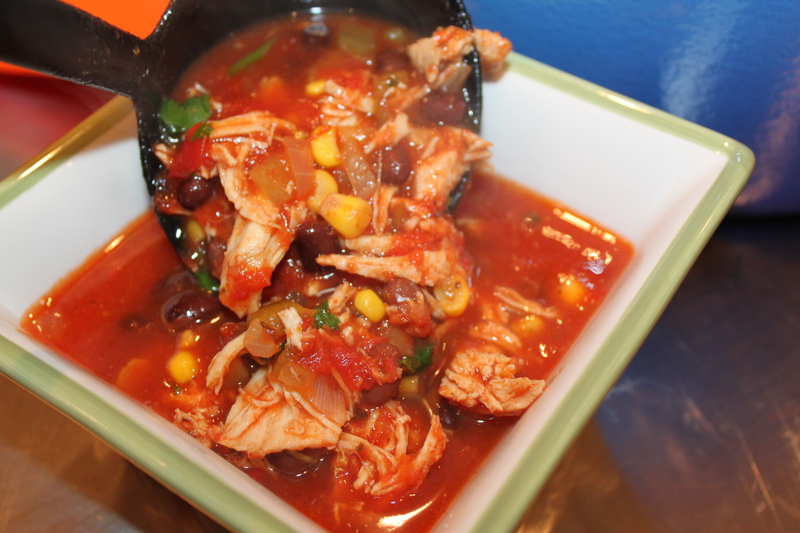 It’s easy to make, very diet lifestyle change friendly, super appropriate for Cinco de Mayo and did we mention it’s DELICIOUS? You can whip this festive bowl of yummy up in about 30 minutes. So put on your sombrero, throw together some margaritas and get cooking! These flavors come together to create one fabulous fiesta in your mouth! 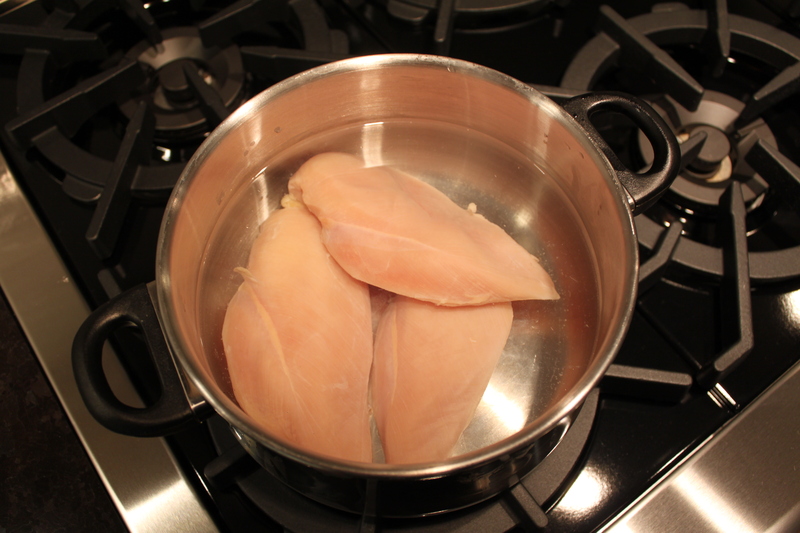 You can use precooked chicken or you can boil a few chicken breasts if you don’t have precooked chicken on-hand. 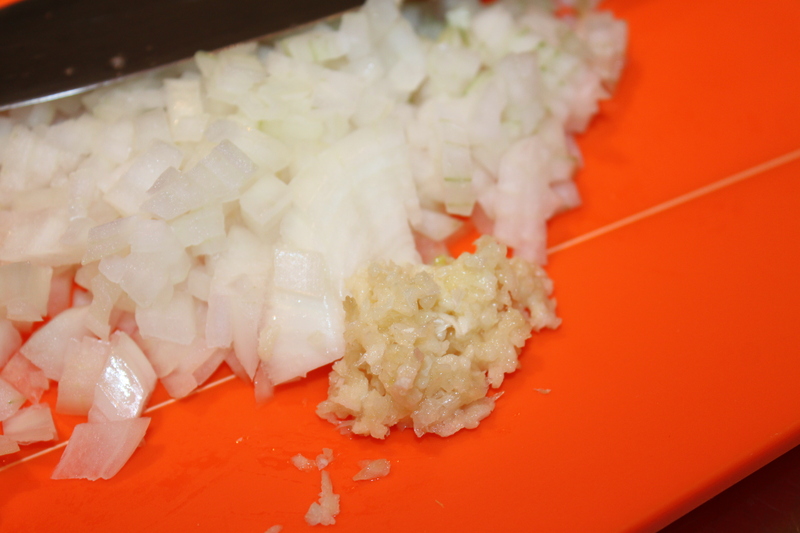 While the chicken is cooking, chop the onions and garlic. 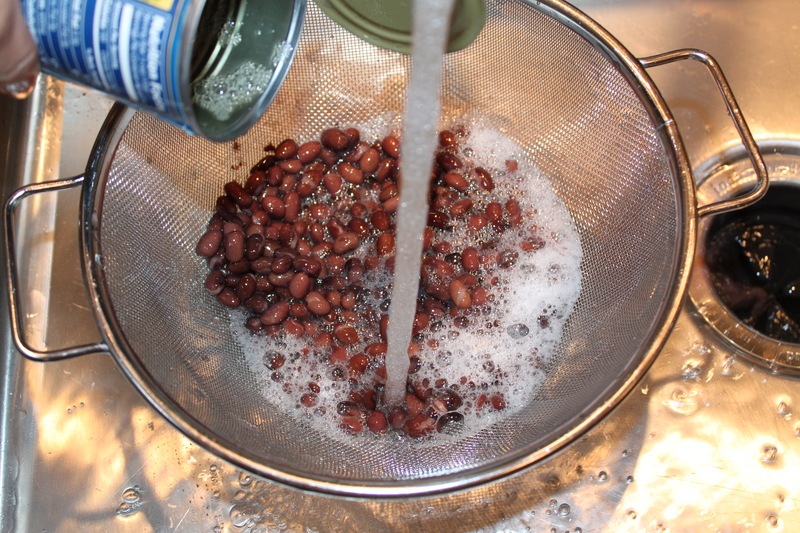 Rinse the beans so they’re not so salty. 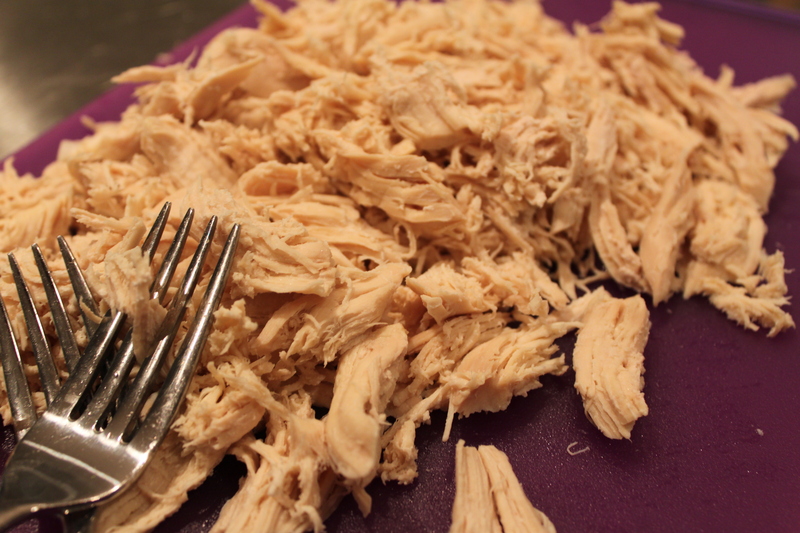 We tend to favor shredded chicken but chopped works just fine too! Pour the olive oil in the pot and add the onion. Cook the onion for a few minutes before adding the garlic as garlic will burn quickly. 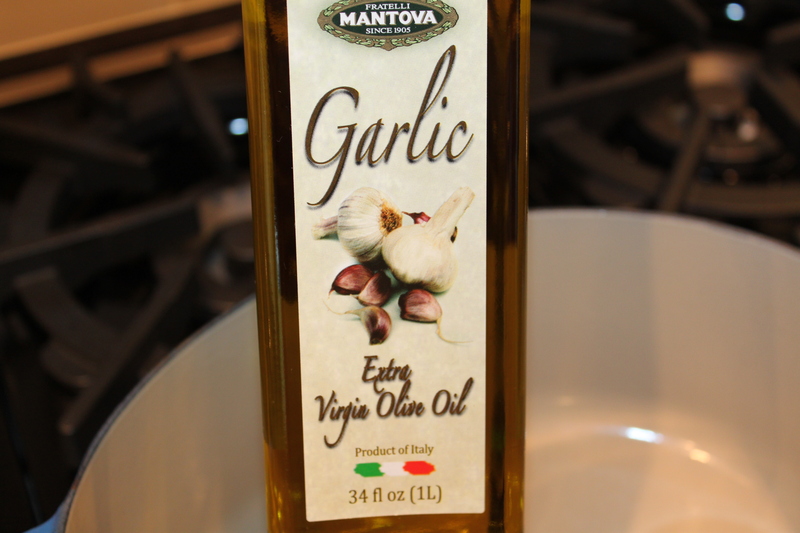 When making a dish that calls for garlic and olive oil, why not use garlic olive oil? We do and the taste is pretty darn fabulous. 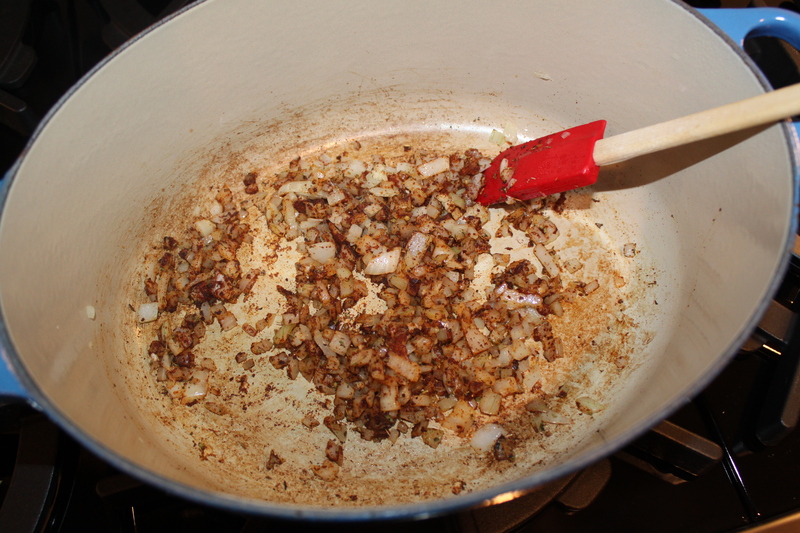 After the onions and garlic have cooked just enough to soften and release the flavor, mix in the dry seasonings. Add the tomatoes and water to the mix. 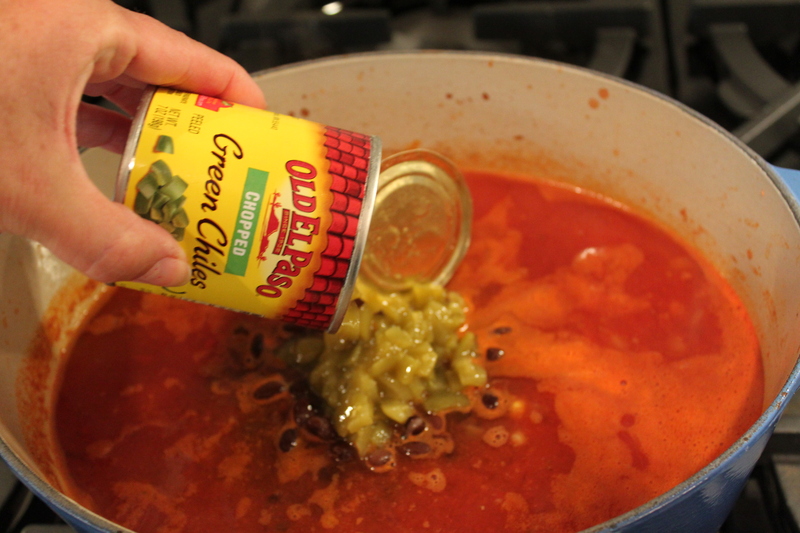 Spice it up with some chopped green chiles. We use a lot because we like it hot, hot, hot! 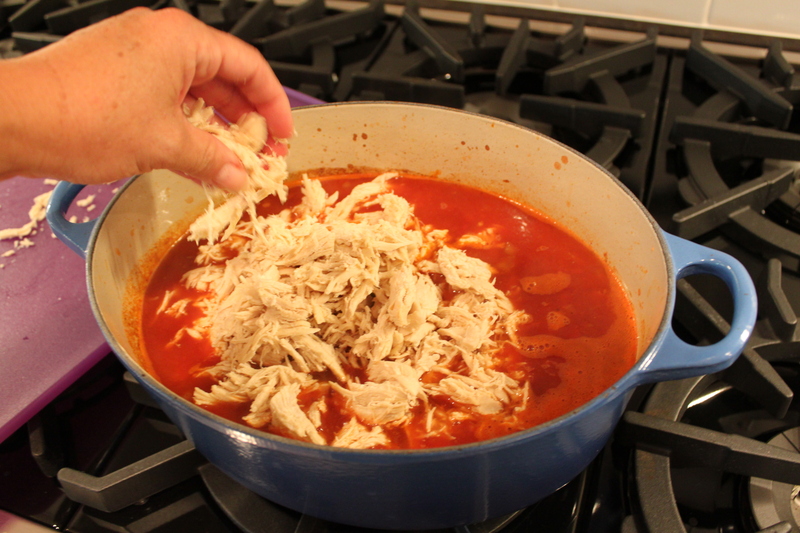 Next, add the shredded chicken. Stir everything together and bring to a boil. 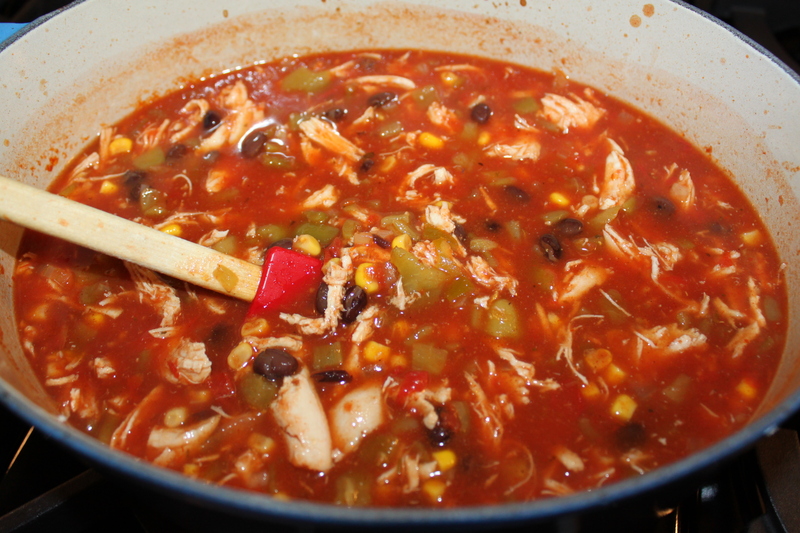 Then let the soup simmer for 5-10 minutes. 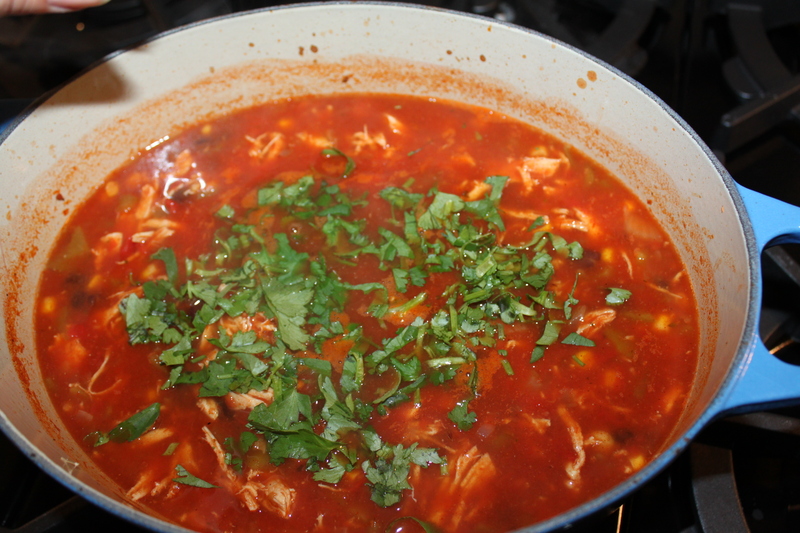 Add the chopped cilantro to the pot. Stir to blend the ingredients. 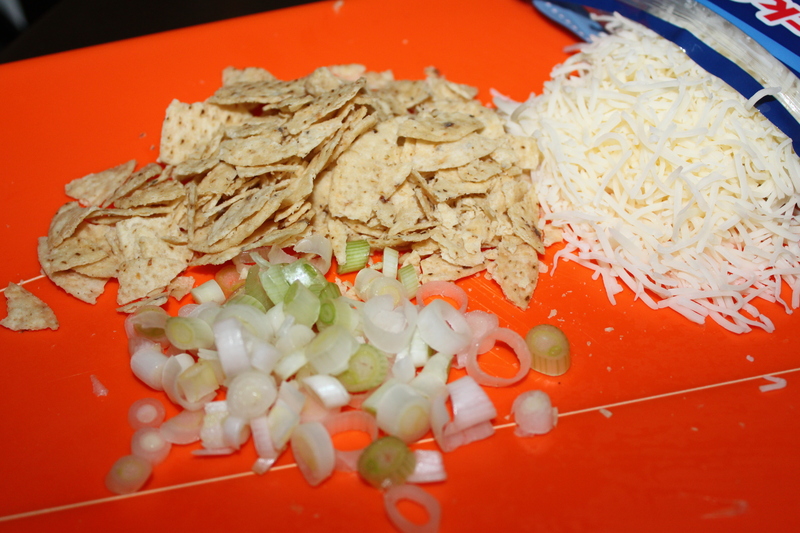 We like to top our soup with chopped green onions, crushed tortilla chips and Monterey Jack cheese. Delicious and healthy in 30 minutes or less? 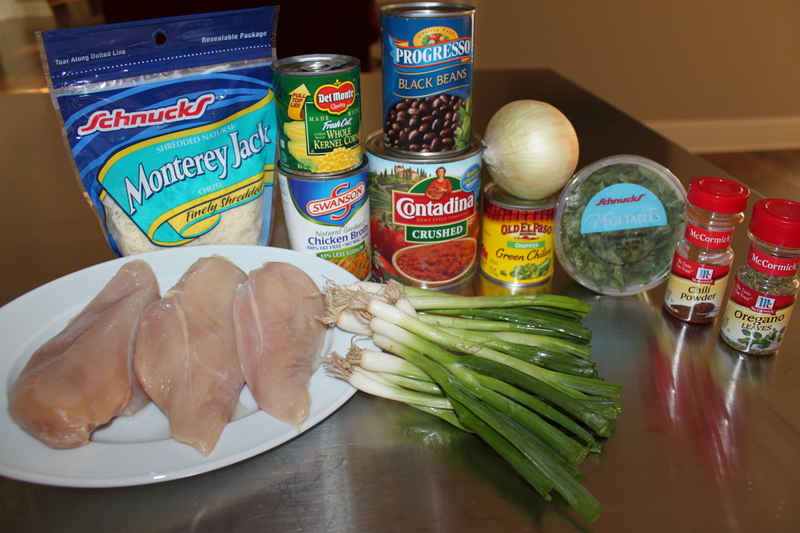 We’re no Rachael Ray, but we definitely made a great 30-minute meal! 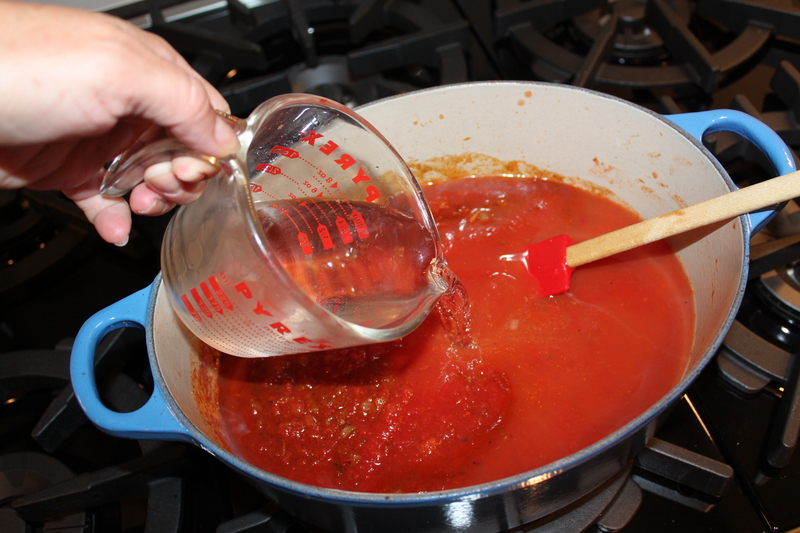 In a medium stock pot, heat oil over medium heat. 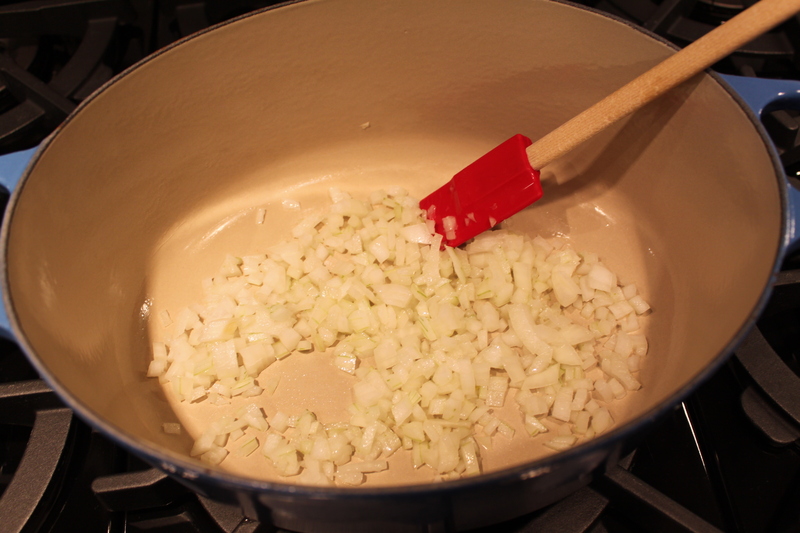 Saute onion and garlic in oil until soft. 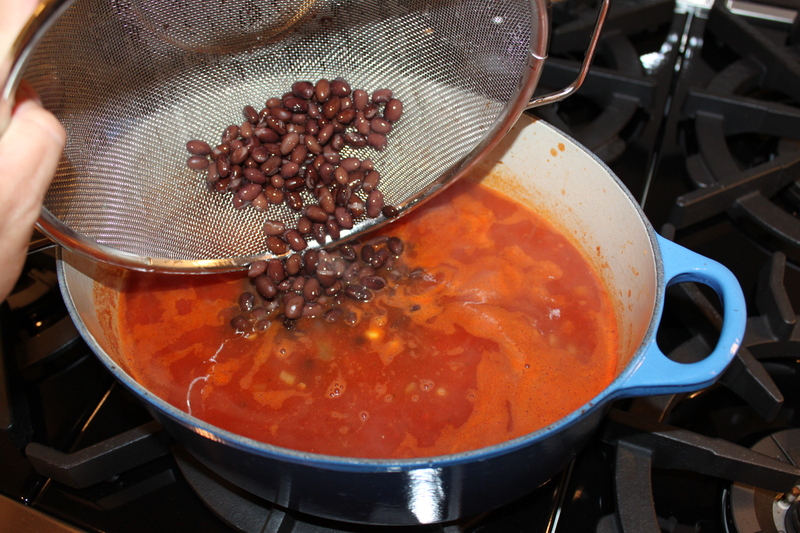 Stir in chili powder, oregano, tomatoes, broth, and water. Bring to a boil, and simmer for 5 to 10 minutes. 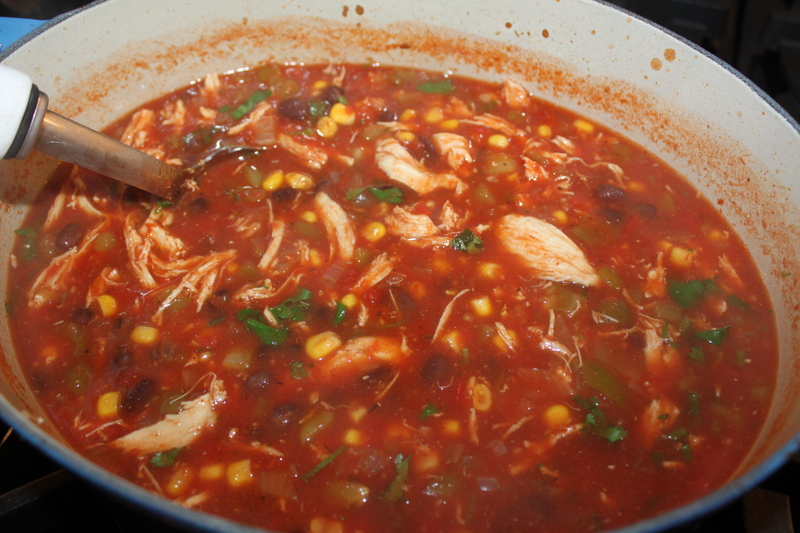 Stir in corn, hominy, chiles, beans, cilantro, and chicken. Simmer for 10 minutes. Ladle soup into individual serving bowls, and top with crushed tortilla chips, avocado slices, cheese, and chopped green onion. We left it out – haha. Is that what you are referring to?